As part of our continuing blog series, CGC Projects in Focus, this post will explore the $2.2 billion development of Crown Sydney at Barangaroo and the new opportunities the project is bringing to the engineering, construction and infrastructure sectors. As part of the Barangaroo urban regeneration initiative, Crown Resorts are investing in a new hotel and casino in Barangaroo South, along Sydney Harbour. The resort, named Crown Sydney, is set to be the first six-star hotel on Sydney Harbour and will bring world-class facilities and entertainment to the area. The Crown Sydney building has been designed by UK architecture company, Wilkinson Eyre. With two RIBA Stirling Prizes to their name, Wilkinson Eyre used their industry expertise to design and create a building that capitalises on the views of Sydney Harbour and the Opera House. The unique design of the building will ensure Crown Sydney will become a landmark building, as its innovative shape is both incredibly aesthetic yet functional. Barangaroo is located on the north-western edge of the Sydney CBD. Before redevelopment, the area was used for shipping, however, in 2003, the NSW Government determined that the precinct would be redeveloped to provide more commercial office space and recreational areas. Following a public competition in 2006, the area was renamed in honour of, Barangaroo, the second wife of Bennelong, an interlocutor between the Aboriginal people and the early British colonists. Bennelong Point is also the location of the Sydney Opera House. Barangaroo comprises three precincts: Barangaroo South (the location of Crown Sydney), Barangaroo Central and Barangaroo Reserve, and is Sydney's largest urban regeneration project since the 2000 summer Olympics. 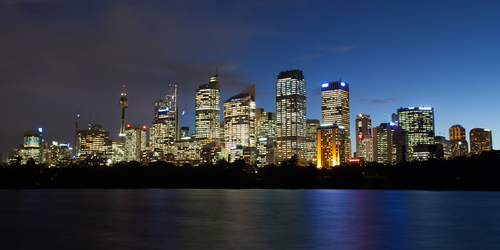 Prior to construction, Crown Resorts met and consulted with local businesses and residents, alongside industry experts and the City of Sydney. • Luxury cafes, restaurants and bars. The development of Barangaroo will support around 23,000 jobs and contribute more than $2 billion a year to the NSW economy. Crown Resorts have made it clear that they intend to make Crown Sydney an iconic building within Barangaroo and the city. The building will be recognised globally as it will drive domestic and international tourism to Barangaroo, benefiting Sydney as a whole. Completion of the southern precinct which will include Renzo Piano's One Sydney Harbour residential buildings, Hickson Park, Watermans Cove, Crown Sydney Hotel Resort and a new public pier. If you’re looking for your next career opportunity, you can register with CGC today. Simply complete our online registration, which takes just 30 seconds. Or if you’re looking for something in particular, contact us or search our jobs. If you’re looking for the right team member, get in touch with CGC and one of our experienced consultants will be happy to help. To be involved in projects or to attract candidates that are changing and improving Australia’s infrastructure, just like Crown Sydney, connect with CGC today. Also see CGC Projects in Focus, Brisbane Metro. The new $944 million Metro, a rapid transit system, involves the construction of a 21km long turn-up-and-go service with two lines. During peaks, the Metro will transport up to 22,000 passengers an hour.